Your health problems are like weeds in your garden. Your health problems are like weeds; you don’t want them, they take root in your body and rob you of your health and quality of life. Like weeds, you need to address them at their roots or they just don’t go away. 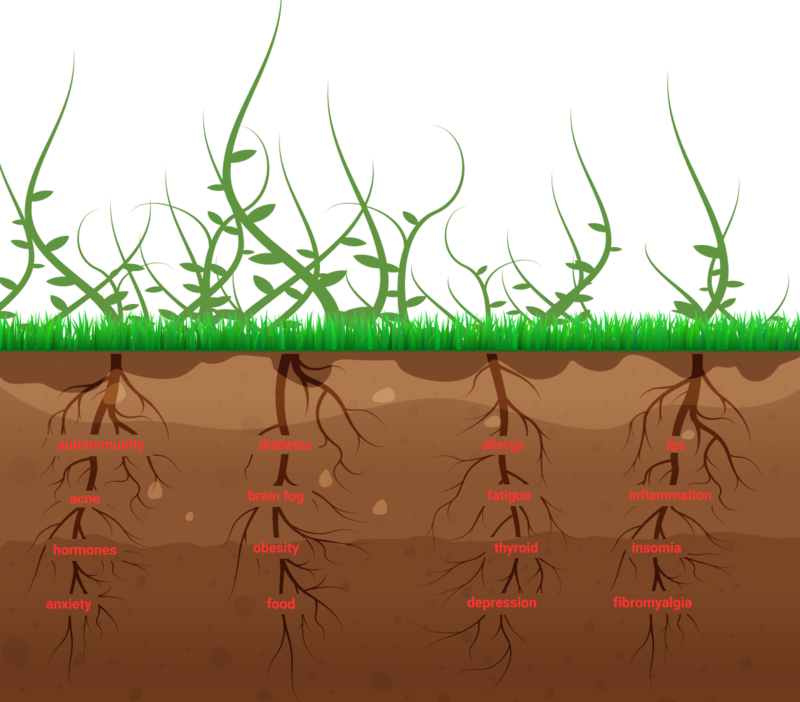 If you wanted to rid yourself of a weed once and for all, would you dig it out at the roots or simply cut it off at ground level? A shovel lets you remove the weed at it’s source…the roots. Scissors let you cut it off at ground level; providing a temporary solution, but the roots remain, and the weed will soon return…stronger than ever! 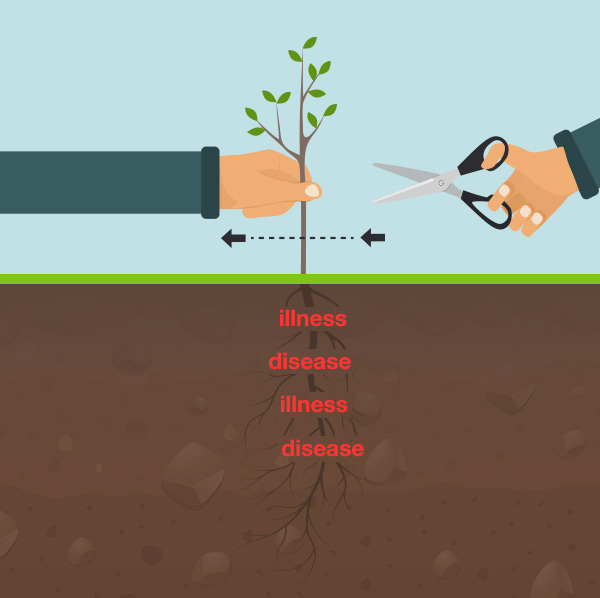 FM would be the shovel and TM the scissors when treating to the “weeds” that are robbing you of your health and quality of life. 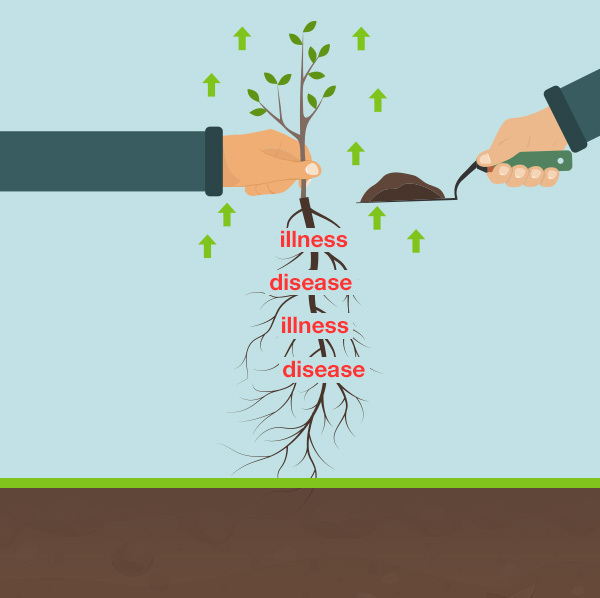 What are the roots of a health problem anyway? They are the loss of normal and healthy body function. Weeds cannot exist when your body is able to function properly. Weeds prey on a body that cannot function as it was designed to; when it has been compromised in some way. FM treats the root cause of your health problems by identifying the roots of your health issue and correcting it. When you restore normal body function, the weeds die, and they die at the root. Optimal body function and the weeds of illness are not compatible. Traditional medicine does not address the root cause of your health issues. It treats your symptoms with medication; unfortunately, the roots of your health issue remain; much like cutting the top off a weed. The real problem still lies below the surface. Do you believe medications remove the root of your health condition? What happens if you stop taking a medication? If you stop taking a medication does the problem return? Have the roots been removed or has that weed just had its top cut off temporarily? AARP found that the average 45-year-old takes 4 different medications every day. Consumer Reports and WebMD report that 55% of all Americans regularly take an average of 4 prescription medications every day and many of them are also taking over-the-counter medications. Root causes are not be identified and addressed in our healthcare system today. We are just cutting weeds back and cutting and cutting and cutting with more and more drugs. Your body is your garden of life. What kind of garden do you want to live in? – You are the gardener. Are you going to reach for the scissors or the shovel?